Mum and Me Card Co. Handmade cards personalised for the special people in your life, handmade by Gail and Michelle. Contact us at lovemumandme@bigpond.com or follow us on Facebook for all the latest news. 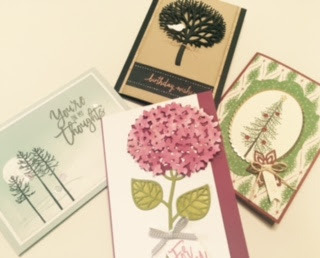 We are constantly adding new cards to our collection. We are not so good at updating this blog though so be sure to visit our Facebook page at Mumandmecardco. Have a marvellous week. Yep, not long to go now. Why not send a handmade christmas card this year. We have lots to choose from. You will find us next At St Ives Twilight market on Saturday 23rd November. 3-8pm. You can now find us on Facebook Here is the link. My posting is not very regular here, although I am trying to rectify that, but we are posting on Facebook daily, so be sure to like us to get all the news and photos of new products etc, etc. ....and a lovely wedding card is always appreciated. Cobbitty and St Ives markets are on this weekend. You can find us at both. More gifts for christmas. This time a lovely scarf, packaged in a decorated box. Its a crazy thought....but christmas will be here before you know it. I am really enjoying making these cute little crackers. I think its because I just love the colour combo and those gorgeous crystal buttons. There is nothing inside these just yet, but I am thinking a Ferreo Rocher might be just the thing. This card is a little different from the norm. It it shaped like a flowerpot but still fits in an ordinary envelope. I think it would put a smile on almost anyone. This is the part you would write your greeting on, then it simply slips back into the flowerpot. Cute. No markets this weekend, but you will find us at Cobbitty on the 6th of July and St Ives on the 7th. Please don't reproduce our work for resale.. Simple theme. Powered by Blogger.